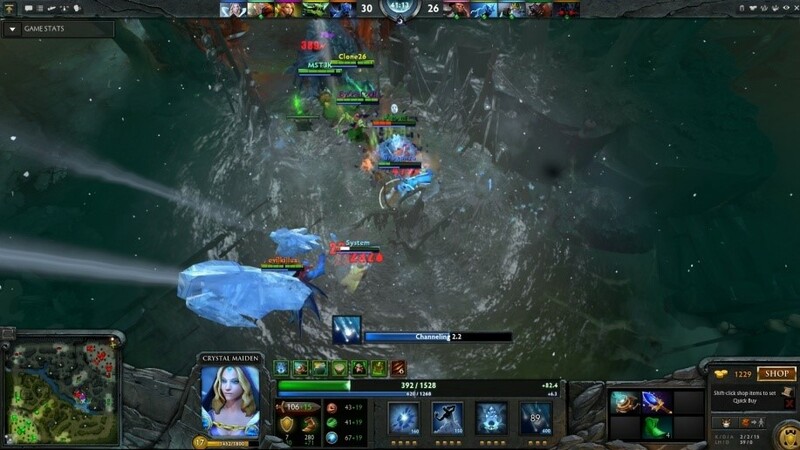 GameNews.biz - Being a support sometimes can be can be overwhelming. Many new players, especially who don't know the importance of the role, only thinks support hero main job is only to buy wards and couriers. No, they are not. Support has a lot of responsibility on their shoulder beside buying wards and courier. A good support can change the situation from losing to winning as long as they do their job. 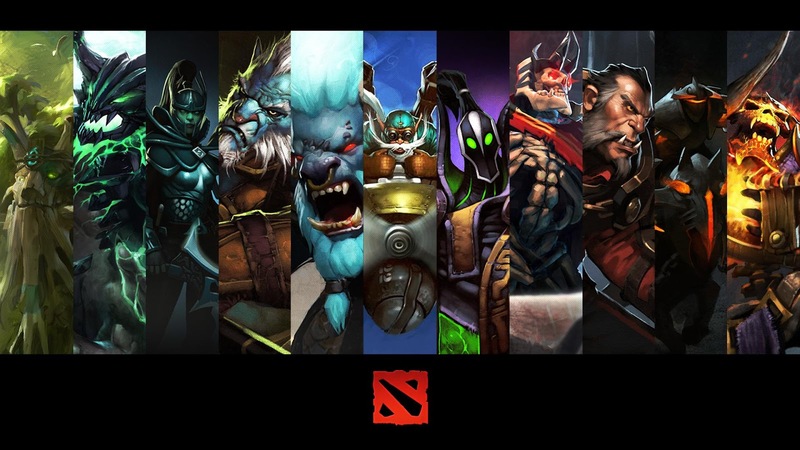 In this article, we are going to give you five tips and trick to make you a better support player in DotA 2. Most of the support heroes in DotA 2 is weak and have a small amount of HP. So, the first tips and trick to survive as a support in DotA 2 is correctly positioning your hero during every phase of the game. You have to balance between keeping close to your tower so you can cower behind the tower if the situation needed, while staying in EXP range of enemy creep line. Not only that, you also have to stay close to the hero you are supporting and make enemy heroes uncomfortable in farming EXP and gold on your lane by harassing them. Spend your money on healing items such as salve, and do not hesitate to give it to those who need it. It's much better to the team if your carry uses your salve worth 100 gold, instead of he dies and you lose team EXP and precious gold. The first tips and trick is going to be useless if you die prematurely, or some may say "feeding", in team-fights. Make sure you use all of your skills (and correctly used) or even survive until your skill is needed before the inevitable happens. Since support role income is low, or even non-existent, avoid dying too much is the best way to maintain your gold income. If you survive team fights, you will get a nice gold bonus for supporting and more EXP! Our second tips and trick encourage you to farm, a little, even though you pick support role while playing DotA 2, because it's not true that because you pick a support hero makes you can't farm at all. You still need gold to buy wards, regeneration items, and boots. But make sure you do not intentionally fight last hits with your carry. If you really have to because you are so close to the item you need to buy, ask the carry permission to farm one or two creeps. A good carry will understand you. Denying and harassing are the two basic skills in DotA 2. Denying is last hitting your own creeps before your enemies do so the enemies gold and EXP gain are reduced. Ideally, you last hit all of your own creeps to maximized this deficit while you make sure your carry get all of his/her last hits. Harassing is the act of hitting enemy heroes with your skills or attacks so they will take some damage and get driven back so they are out of EXP range. Successful harass will make your carry farm comfortably and your enemies level lagged behind. Able to see the enemy movement is important to avoid getting ganked. That's why our third tips and trick entry suggests you to buy wards as soon as possible, because wards are essential to your team survival throughout the match. It's your job as a support to place wards in strategic places to be able to see where are your enemies. At the very beginning of the match, if you see the other support already purchased courier, then it's your job to buy wards. 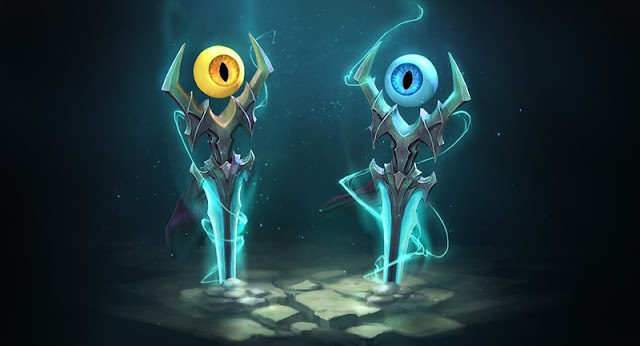 While Sentry wards are situational, depends on whether you up against invisible heroes, Observer Wards are an important part of every game. 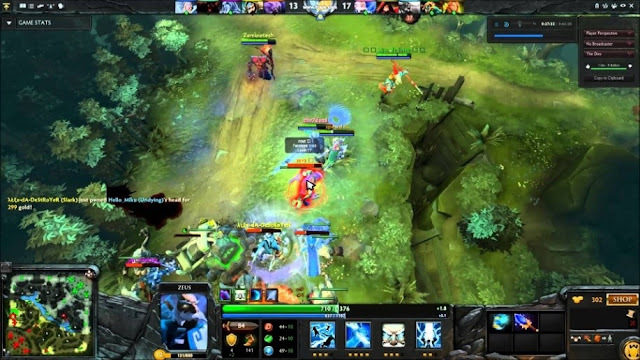 The best support in DotA 2 is the one who know the tips and trick on wards placement. Initially, you want to put an Observer Wards at the river that overlook both runes. By setting wards here, your team can see if the enemy team is planning on ganking and make strategies to counter or avoid it. 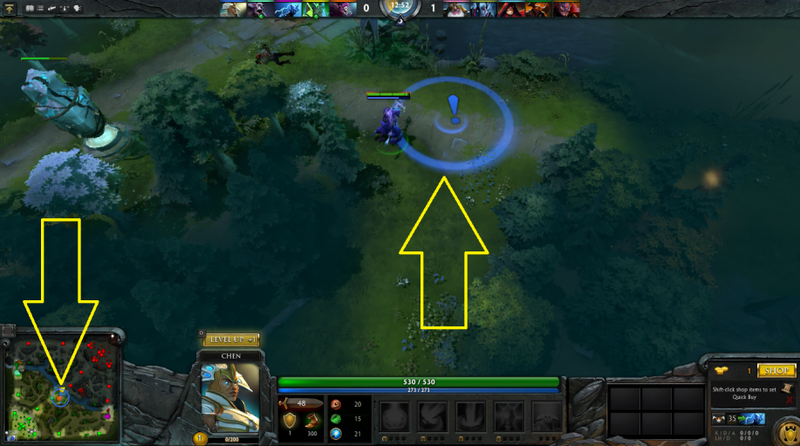 This wards placement also useful for your midlaner to see if a rune has spawned and to judge whether it's safe or not to pick it up. Wards run out every six minutes and they need to be replaced immediately. Rule of thumb: buy wards after you able to buy boots and buy wards again at 15 minutes, 30 minutes and 45 minutes. Missing: When an opponent hero is suddenly missing from your vision, it could mean a lot of things; maybe he went back to base to refill his HP, or buying items in secret shop, or more importantly, planning a gank. When this happens, it's is important to tell your teammate in other lanes that one of enemy heroes is missing. Tips and trick: simply press alt + left click on the portrait of the missing hero to inform your team in team chat. You'll get a nice message like you described instead of the general lane one. If the heroes said missing is back on your lane, that you can inform your team as well by pressing ctrl + alt and click the hero portrait. Cooldowns and gold needed to buy an item: While pressing alt + clicking on an enemy hero portrait will inform your team that an enemy hero is missing, alt + clicking on your skill will inform your team whether one of your skill is on cooldown and how many seconds left before the cooldown is complete. This will make sure that your needed skill to stun, silence or heal your teammate is can be used when your team planning to do a gank. Alt + clicking on one of the items in the shop also will inform your team on how many golds you needed before you can buy that item. Other communication tips and trick: Basic text chat can also be used to create a simple communication; such as "go?" to check if everyone is ready, or "go!" to command your team to attack. Scouting information is also important to be shared with your team. If you know that one of your enemy ultimate skill is in cooldown, tell your team about it so you can plan on a gank or team fight. Other things that are important to share is whether the enemy picks up an invisibility or double damage rune, or one of the enemies is purchased key items so you can approach carefully in battle. The last entry of this tips and trick is about ganking. A lot of new players do not know that supporting heroes plays important role in most ganks. Even though you don't do massive damage and get the kills, your skills will help your teammate by healing them, disabling your target, provide a buff for your team or debuff for the enemy team. That's why it is important for you to understand your hero ability and how it will function when aiding your allies in ganks. When your team is ganked, then your role is reversed. If you read the third tips and trick about warding, you should know that wards usually take out the surprise factor and now your skills can be used to make enemy gank fails. 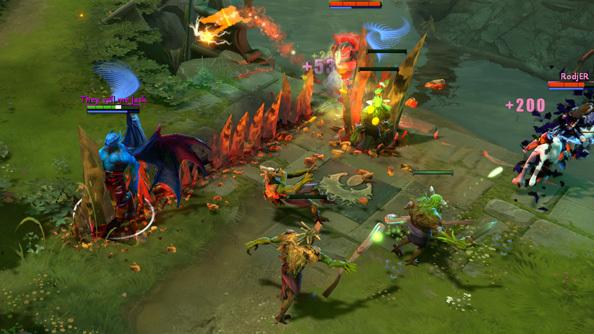 Usually, ganks happens on early to mid game, that's why it's important for you to bring TP in your inventory. When different lanes are being ganked and you think it's safe to leave your carry, TP in to save your teammate.